Fresh blackberries team up with diced apples in this delicious Southern cobbler. A cake-like batter covers the fruit for a soft and delicious baked topping. 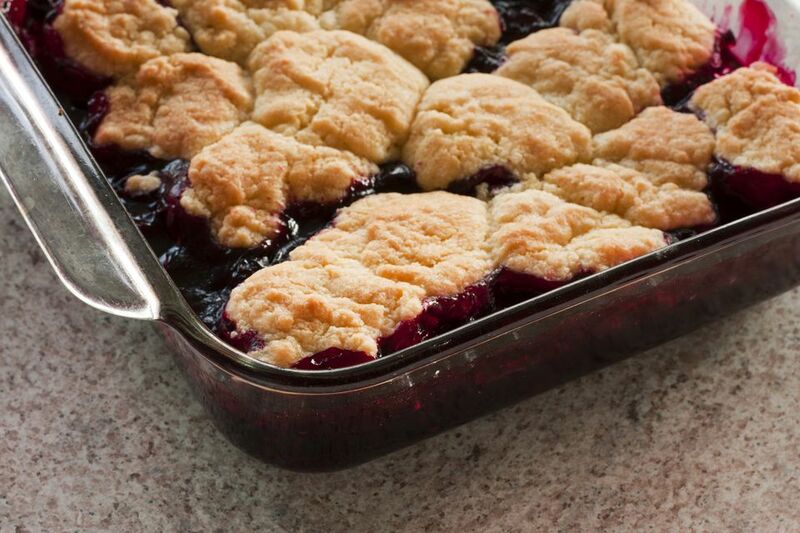 Serve this cobbler warm with a scoop of buttermilk ice cream or drizzle some fresh cream over each serving. Heat the oven to 375 F (190 C/Gas 5). Butter a 9-inch round cake pan. Cream the butter and 1/3 cup sugar until light and fluffy. Add dry ingredients to creamed mixture alternating with the milk; beat until smooth. In a separate bowl, combine blackberries, apples, and 1/2 cup sugar. Let stand for 5 minutes. Put fruit mixture in the prepared cake pan. Pour batter over the fruit. Sprinkle with a little sugar. Bake in the preheated oven for 45 to 50 minutes.